Don’t put all your eggs in one basket! Easter’s On Its Way! Grab your Easter basket and go hunting for Egg-citing jackpots in the Egg-pic Room, Eggs-clusive Weekend Room, take part in the Easter Freeroll and main room Golden Egg hunt to WIN BIG. $400,000 LARGEST Easter Event Ever! Join Amigo Bingo April 19th–22nd for our LARGEST Easter Event Ever! 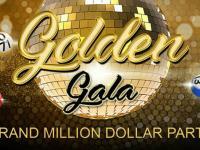 Four nights – Four Hours – $400,000 to be won! – EGG-pic Room. The action starts Friday April 19th at 10:00 pm EST New York. 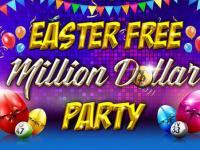 $1,000 Easter Guaranteed Freeroll! – Hop on Over Every-Bunny! Fri April 19th 9pm . Hop to it! Amigo Bingo has hidden $1,000 in Egg-citing FREE $100BB jackpot games in the EASTER BASKET Room! Join the egg hunt this April 19th @9pm EST and receive 25 free cards for each of the special bingo games. 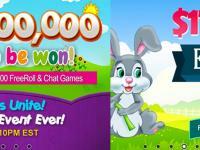 Every-bunny will get to play (10) $100 BBS games… absolutely FREE! – No Deposit Needed (MUST BE IN THE ROOM TO WIN). Find the Golden Egg Chat Special (Fri April 19th – Mon April 22nd) . WIN BIG with our Golden Easter Egg Hunt in the MAIN ROOM all weekend long. Be on the lookout for the ‘GOLDEN EGG GAMES’, these are hidden throughout the main room line up, crack them open (Bingo on it) to reveal egg-xtra prizes (I.e. 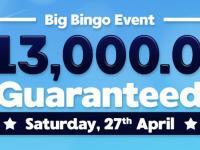 Team bingo seats, special deposit offers, cash and more) Half the fun is winning the Egg-citing JACKPOTS, but the other half is discovering what’s inside…Get cracking! – No Pre-buys. 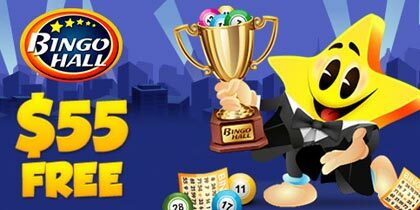 Amigo Bingo has hidden Over $175,000 up for grabs and $35,000 in egg-citing GUARANTEED CASH JACKPOTS. 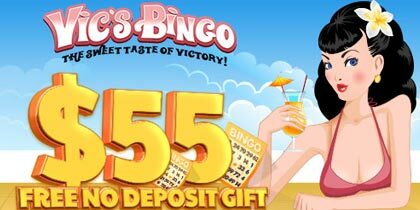 Deposit, play, and win… it’s that easy. Join us every Friday to Sunday between 11:00 PM and midnight EST for a whole hour filled with incredible bingo fun and lots of cash to be won. We kick start the night with a $100BBS Golden Egg(s) FREEBIE GAME to give everyone in the room extra good luck as we play the $10,000, $5,000 and $2,500 Coveralls, followed by egg-citing themed $250-$500 multipart GUARANTEED SEED games with an additional buy-in % in return that will make jackpots grow. The more players join in the hunt, the higher the jackpots – No Jackpot Cap. (60 Cards MAX). There’s More. Everyone with a deposit made in the last 7 days will be entered to WINEGG-XTRA PRIZES in our new WTG Wednesday Giveaways. (Every Bingo Card Purchase = 1 Raffle Ticket for the Following Wed Giveaway). This April we are giving you the chance to fill your Easter basket with lots of cash. Come search high and low for the hidden jackpots and see if you can find them all! 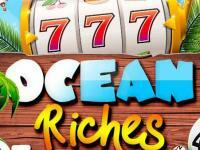 – Buy tickets with BONUS money as well as cash and winnings.